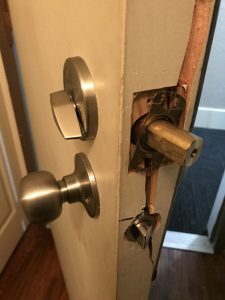 The customer was broken into in East Vancouver. 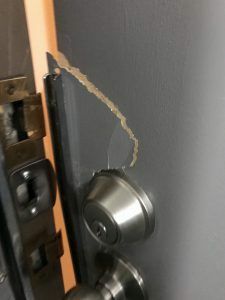 The burglars just kicked the door in. 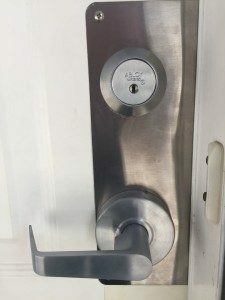 Very common Break and Enter in Vancouver. You can see the door was broken and the cheap Off-Shore deadbolt just failed. 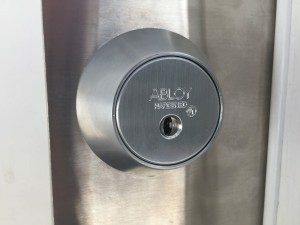 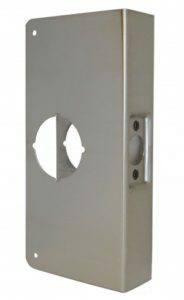 Unfortunately, too many of these inexpensive deadbolts ($10-$45) are installed in Vancouver, sometimes on new condos and new buildings. 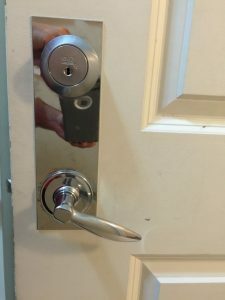 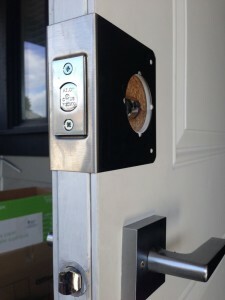 Mike from Mr. Locksmith Vancouver rather than replace the door he installed a Mag Plate / Door Reinforcer (doubles the strength of the door) and a new Schlage Deadbolt (B660) with the Commerical Grade C123 Key and Cylinder. 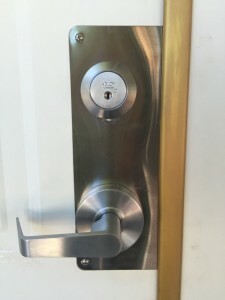 The Schlage Deadbolt is one of our favorite deadbolts. 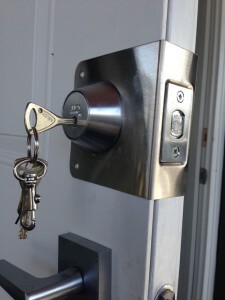 We call this our Vancouver Special. 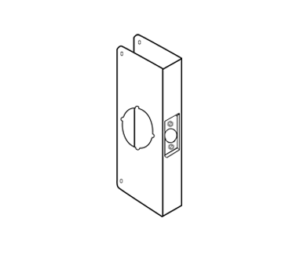 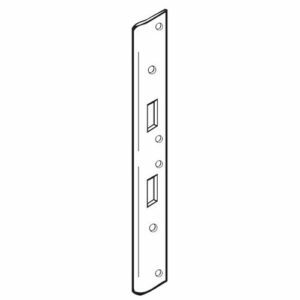 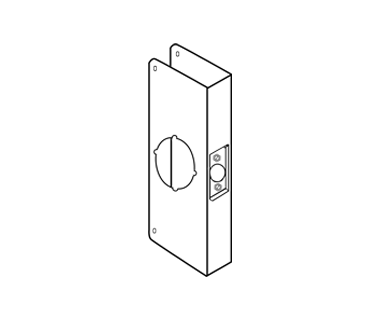 The door frame did not need a 18″ Strike Plate installed on the door frame because it was metal. 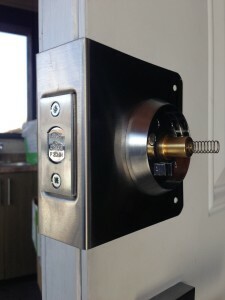 Go to http://www.mrlocksmith.com to learn more. 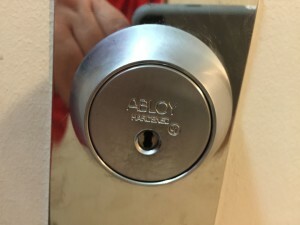 Again, this is the typical light-duty deadbolt. We have the metal frame with wood down the center and the thumb turn on the inside. 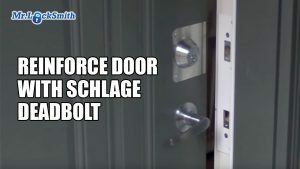 A lot of times on these doors when they kick the door in the bolt will just break off or this whole door here will just split open. 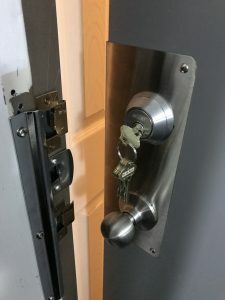 Sometimes as well on the strike this whole door will be kicked open so this one’s at least okay. 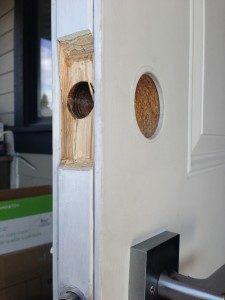 It has 3-inch screws in there so that’s good, but if you look at the hole they haven’t even drilled it in 1 inch so this door has never locked properly. 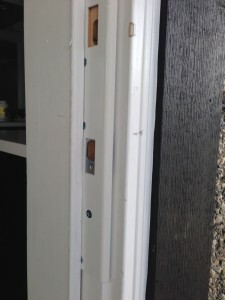 It’s a poor install from before so we’ll put on a strike plate on here. 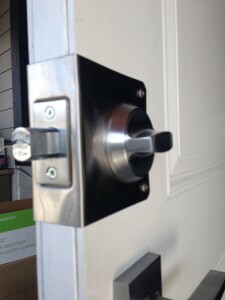 Mr. Locksmith Deadbolt Installation with Door reinforcer and strike plate to help prevent Break-ins and robberies. 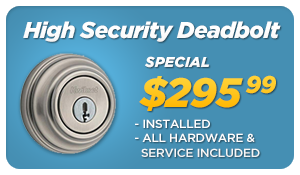 The Schlage HD Deadbolts are an excellent lock for residential and commercial lock installations. 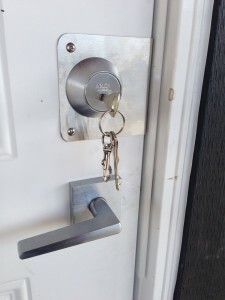 The 24-hour mobile locksmith service can also change and rekey your locks to match our deadbolts. 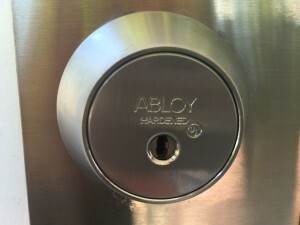 All Mr. Locksmith Vancouver Special deadbolts come with 5 Free Keys. 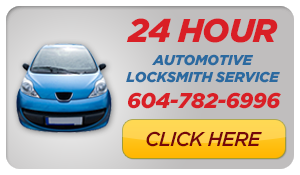 Vancouver emergency lockout services, 24-hour lock repair, re-key, change, 24-hour mobile locksmith services in Vancouver, Downtown Vancouver, Burnaby, North Vancouver and West Vancouver. 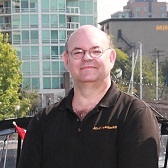 BC Licensed Locksmith B4227, bonded & insured locksmith.